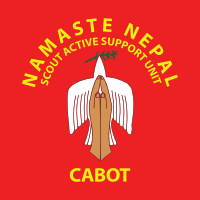 We’re planning to take a party of Explorer Scouts from Cabot on an awesome 16-day trip to Nepal in October 2018. We’ll be flying to Kathmandu, staying in the historic Thamel quarter. We’ll be visiting the world heritage sites of BoudhaNath, SwayambhuNath and PashpartiNath, before travelling to Meghauli. 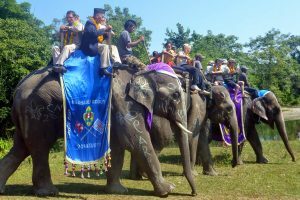 In Meghauli, we’ll be running the Jungle Jamboree, a camp for the local Scout Groups, visiting health improvement projects and taking part in an elephant safari in the jungle! After a week in Meghauli we move on the Pokhara – Nepal’s second city and gateway to the massive Annapurna mountain range. From here there will be a choice of two activities. The first is a 3 day white-water canoeing and camping trip, and the second is a high-level trek into the mountains staying in the famous Nepalese Tea Houses along the way. It’s then back to Kathmandu for a day’s shopping before heading for home. If you will be over 14 and under 18 at the time of the trip and would like to know more, please register your interest here and attend the briefing on Monday 24th April 2017 at 7:30pm at Westbury-on-Trym Methodist Church. Click here to read the full trip blog.